In regression a return is made to the cause of a complaint or problem. During this return it can happen that you go back to another time, culture or country which is not recognizable in this life immediately. By asking specific questions it may be clear that we have to do with a past life. It’s not that strange when you realize that memories of past lives are stored in our subconscious. And that is exactly the place you are going to when you start searching for the source of the reason what is causing your troubles in the present life. Regularly me is asked if you have to believe in reincanation. My answer is briefly: No. It has nothing to do with believe, most of the time a past life occurs spontaneously. But it also happens that somebody for a long time has the feeling that something has to do with a past life and then it will shows up automatically. The troubles which show up will be treated as for the present life. By reliving the situation, either in reduced level, there will be understanding which leads to a release from the situation. As a result the symptoms decrease and in the end will disappear. Recently was asked whether it is necessary to have a specific problem to go back to a past life. This is not a requirement, curiosity also can lead to explore a past life. Even then there will be a centain understanding to the relevance in the present life. Another motive for example to explore a past life be the lack of courage in this life to undertake something. Then you can go to a powerful life to experience how you succeeded then. These experience may help you in your present life. 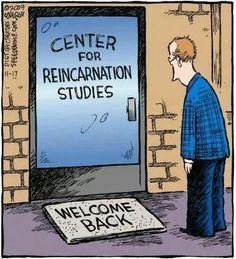 The above should make clear that reincarnation therapy is suitable in different ways. It’s not always necessary to have a well-defined problem.